After the first couple weeks in NZ i was finally able to get on the third river that river rats runs, and the hardest of the 3, the Wairoa. Only running 26 days a year, typically every Sunday in summer and sporadically throughout winter, this river is one that should be on your list when traveling to NZ. 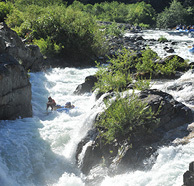 Big drops, long technical rapids, and copious amounts of fun! 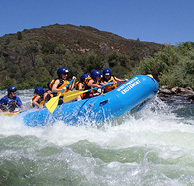 It reminded me a lot of the North Fork back home on the American River. It was exceptionally fun because guides here typically guide in a different fashion than back home, they steer from the front! The many vertical drops tend to launch whoever is in the back of the boat into the air, which makes it quite hard to guide. 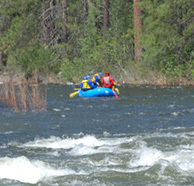 When guiding from the front, you are able to control the boat up right until the lip and steer when you would be holding on if sitting in the back. It does make it harder to control the boat a little and takes practice. It also means that you arent always looking at the guests in your boat, you have to constantly look back to call commands and make sure they are still in the boat. Here’s a little video i put together of our training day on the Wairoa. The day was full of interesting lines and lots of laughing. 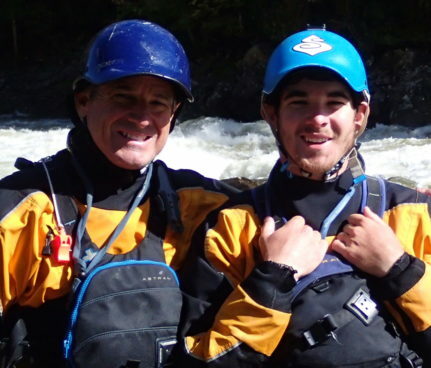 Rafting the Wairoa River in New Zealand from Whitewater Excitement on Vimeo.